Ashbee Design: Odds 'n Ends • Balloons! It is the best example of a great way to deal with "the cord"! It being the string is such an integral part of the design that there is no need to find a creative way to disguise it. It belongs there. From HaoShi Design. Looking for a little more color? 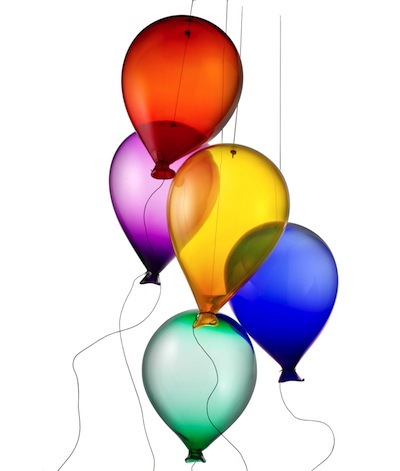 Check out these hot glass balloons available in vibrant colors from Uncommon Goods. 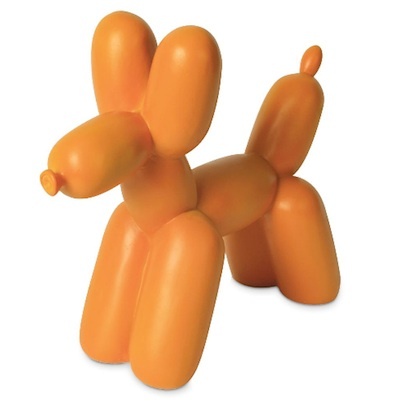 They are available in five brilliant colors and are hand blown by Robert Kuster. But the balloon style that many of us remember so well is from the animal balloon sculptor that was always at the fair, the circus or Quincy Market. 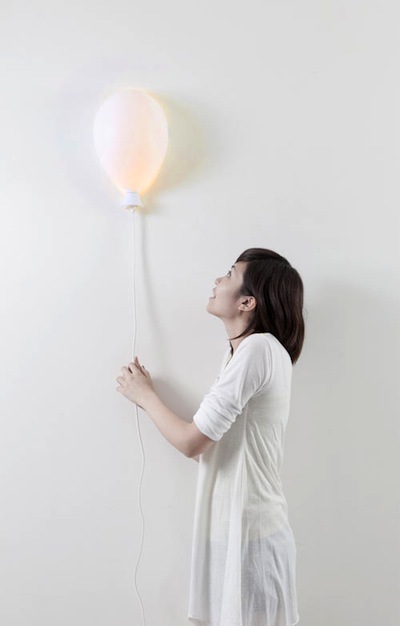 Check out this balloon style bookend from Chiasso. It is always good to be able to include some fun in your decor. Nothing like causing smiles to create a home.